Wow, 20 years in real estate! Seriously, where did that time go? It only feels like yesterday that I turned up to work for my first day as a real estate agent. A sharp suit, shiny shoes, no idea about what I was doing. However, I did have one thing going for me: I was certainly full of enthusiasm, which turns out, is critical to success! It was only by chance that I ended up working in the industry. I happened to sit next to a very successful real estate agent at a wedding, and through this meeting the opportunity presented itself. I was networking without even realising it! The agent was a gentleman by the name of Gareth Axtens, who was one of the owners of Raine & Horne Neutral Bay at the time. At this wedding Gareth and I chatted for hours; we formed an instant connection, and by the end of the wedding I had made the life-changing decision to leave the advertising industry, and try my luck with real estate. Hence, the following week I started my career as a real estate sales person at Raine & Horne, Neutral Bay. Over the past 20 years I have evolved from a struggling 25-year-old, out there with nothing but enthusiasm, to becoming one of Australia’s more successful agents, running a team of three and consistently selling more than $100 million dollars’ worth of property annually. Today, I am also one of the directors of four McGrath agencies with over 100 staff, turning over more than $25 million dollars annually. Our agency is now the market leader on Sydney’s lower north shore. What the last 20 years has taught me is that anything is possible, and if you work hard and treat people well, success will follow. In short, I love my job and this is one of the main reasons why I have enjoyed so much success in work and life. For me, real estate feels like sport, not work. I love its competitive side, its challenges, and also the people you meet along the way. Founder of the McGrath empire, John McGrath, has always told me ‘Piers, it‘s not about bricks and mortar, our business is about people'. His words have stuck with me, and could not be more incisive. The most satisfying part of the job is creating clients for life. It’s a testament to years of hard work, great results and exceptional customer service, when former clients (or their family/friends) call you out to sell their home uncontested; the relationship has become so strong that their trust in you is unequivocal, and they don’t feel the need to talk to any other agents. About 50 per cent of my listings are uncontested these days as a reward for past efforts. If you believe in ‘karma’, then this business delivers in bucket-loads, treat people with respect, operate with integrity and secure outstanding results, and you will be rewarded, over and over again. A few weeks ago, the team at REB asked me if I would be interested in writing a blog talking about what I have learnt over the past 20 years. I jumped at the opportunity, and I look forward to sharing my thoughts and ideas with you, and trust you will find something of value in these reflections. Over the next 12 months I will be writing a series of monthly articles covering a variety of topics. Regardless of what stage you are up to in your real estate career, it’s important to keep reading, attending courses and learning. Today’s world demands constant reinvention, tweaking what we do and improving the customer experience. If we don’t, we’ll fall behind, losing our momentum and relevance. On a final note, I do firmly believe there will always be demand for dedicated professional agents who provide significant value to their clients, assisting them to reach, if not exceed, their property goals. Next month I will be talking to you about the importance of having a mentor. Positive, enthusiastic and experienced, Piers van Hamburg has been achieving great results for his clients for almost two decades. 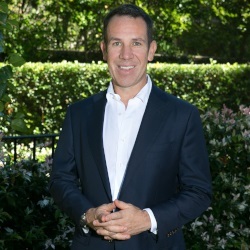 As the director of McGrath Neutral Bay, Mosman, Northbridge and Chatswood offices Piers has built a reputation for service excellence. Piers is consistently ranked in the REB Top 100 Agents ranking. Real estate — it’s a long-term profession!